It's less prestigious than a Range Rover, but does that really matter? The entire purpose of a car review is for the automotive journalist to convey to readers or viewers the best and worst aspects of the car they are testing. With the new Land Rover Discovery, Auto Express took to the task of reviewing the new SUV to analyze what makes it a good purchase and who might buy one. The Discovery is the replacement for the LR4 in the US, and goes back to the name it had before the model became the LR3 in 2004. The US may have forgotten about the old "Disco," but it's finally time to remember this awesome SUV. When the Discovery was first announced, we knew that Land Rover had knocked it out of the park. Before we even drove the car, we had the feeling that it might be just as good as Land Rover's Range Rover branded models. 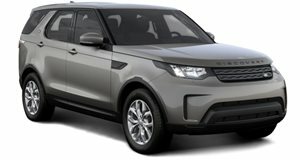 In the US, the Discovery will start at $49,990, which sits between the smaller Range Rover Evoque ($41,800), and the decadent Range Rover Sport ($65,550). Unlike a Range Rover, the Discovery isn't designed to turn heads in Beverly Hills. Rather, it's intended to be the most practical model in the Land Rover lineup for families that have a bit more common sense. It may not be able to keep up with a sportier model like the Ranger Rover Sport SVR on the race track, but who is really bringing their SUV to the track? It is almost equally unlikely that owners will take their SUV off-road these days, but show the Discovery some dirt and it will be able to cope as well as its big brothers in the Ranger Rover line. Basically, the Discovery is the Land Rover for the sort of person that values their family's comfort and enjoyment over the looks that they get from onlookers. The Discovery is less expensive than a Range Rover Sport and has more usable interior space. It is not as flashy or as fast, but if that's all that really mattered, why not just trade the family in for a Jaguar F-Type? Why buy a Range Rover Sport, when the Disco will be much cheaper?